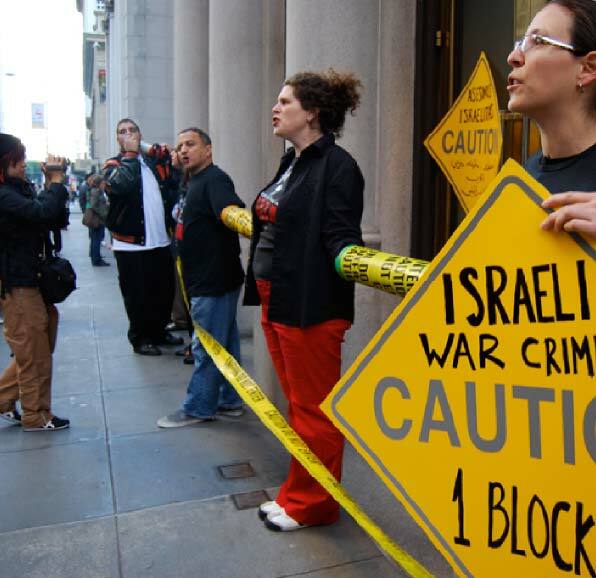 The Block the Boat actions in Oakland, Los Angeles, Tacoma/Seattle and Vancouver are yet another sign of the growing strength and success of the BDS movement against Israel. Led by Arab Resource and Organizing Center (AROC) with participation from over 60 organizations, including IJAN, 3,000-4,000 marched on the Port of Oakland on August 16. The resulting picket line stopped dock workers from entering the port and unloading the ship. With the support of rank and file members of the local longshoreman union (ILWU Local 10), activists and community members prevented the Zim Piraeus from unloading for a historic four days. This is the longest blockade of an Israeli ship in history. Click here for more details on the picket. Zim is a particularly important target given their role in the initial colonization of Palestine. ZIM was established in 1945 by the Jewish Agency, Histadrut Labor Federation and the Israel Maritime League. It is Israel’s largest shipping company and the 10th largest shipping company in the world. In collaboration with the Jewish Agency, the Zim ship, taking advantage of the Nazi genocide, collected Jewish refugees of WWII from Europe and persuaded them to come to Palestine (rather than fight for relocation and reparations within their European homelands). Today, the State of Israel has a “golden share” in the Zim line. Though they privatized in 2004, the Israeli State has veto power over major share sales or other corporate actions, furthermore, Zim retains 11 ships for use by Israel for “national emergencies”. A growing coalition of activists across the West Coast and from Florida, New York City, New Orleans and elsewhere across the United States are coming together to build a campaign against Zim and other shipping lines that carry Israeli goods to ports across the globe, particularly instruments of Israel’s repression industry. It is a contribution that the Palestinian and Palestine solidarity movement is making to the broader anti-militarization, anti-policing movements and a basis for joint struggle. And now activists in other countries are also looking to join the campaign against Zim.